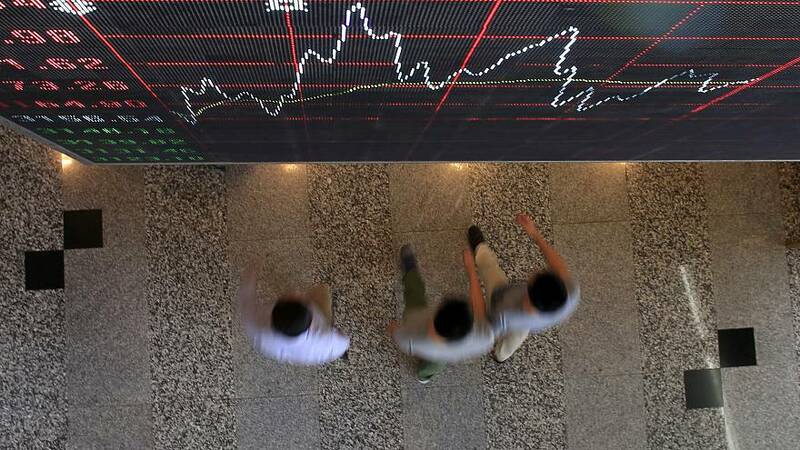 Asian shares ticked up in early Tuesday trade, supported by Wall Street gains although sentiment was tempered ahead of the U.S. midterm elections, the first major electoral test of President Donald Trump's big tax cuts and hostile trade policies. MSCI's broadest index of Asia-Pacific shares outside Japan <.MIAPJ0000PUS> rose 0.15 percent while Japan's Nikkei <.N225> gained 0.5 percent, a day after both fell more than one percent. On Wall Street, the S&P 500 <.SPX> gained 0.56 percent, with financials such as Berkshire Hathaway supported by strong earnings. In oil markets, crude prices wobbled near multi-month lows after the United States granted eight countries temporary waivers allowing them to continue buying oil from Iran as Washington formally imposed punitive sanctions on the Islamic republic. Bucking broader gains, the Nasdaq Composite <.IXIC> fell 0.38 percent as Apple Inc lost 2.8 percent following a Nikkei report that said the company had told its smartphone assemblers to halt plans for additional production lines dedicated to the iPhone XR. Ahead of Tuesday's U.S. elections, investors generally expect opposition Democrats to take over the House of Representatives while Trump's Republican Party is tipped to retain the Senate. While political gridlock between the White House and Congress could hinder Trump's pro-business agenda and raise political instability, including hearings centring on the administration, some analysts say such an outcome may have already been priced in by investors. If the Republicans retain their House majority, global stocks are likely to rally on hopes of more tax cuts. Trump said last month his administration planned to produce a resolution calling for a 10 percent tax cut for middle-income households. "Everyone still remembers strong equity rallies after Trump was elected two years ago. So initially stock markets will gain," said Norihiro Fujito, chief investment strategist at Mitsubishi UFJ Morgan Stanley Securities. "But further tax cuts would boost already large fiscal deficits and push the 10-year U.S. Treasuries yield above its October high almost instantly. Given rises in U.S. bond yields triggered a correction in equities last month, any rally in stocks is unlikely to last long," he added. Many investors also expect Trump to continue to take a hard line on trade, regardless of the outcome of the elections. In oil markets, U.S. West Texas Intermediate (WTI) crude futures slipped 0.3 percent to $62.86 a barrel after hitting a seven-month low of $62.52 on Monday. Major currencies, moves were modest. The euro traded at $1.1410 , about one cent above this year's low of $1.1301 touched on Aug. 15. The yen changed hands at 113.22 per dollar, near its three-week low of 113.385 marked last Wednesday. The British pound touched a two-week high of $1.3070 and last stood at $1.3065.